Yoga. In a word, it means union. Uniting what has separated to become whole once again. Whether you practice eastern yoga or western yoga, in a gym or in a studio, your yoga is a union of sorts. It might be a union of the muscles within your body. It could be a union of the thoughts racing in your mind. Or maybe it is even the union of your mind to your body and your body to your breath. Perhaps your yoga is the union of your light to the light of those around you. Whatever it is, union is the basis of yoga. And yet all around there seems to be a bit of separation happening. We seem to be forgetting to unite and instead are turning on each other. We yogis are becoming bullies. All around, there is talk about who is the most yogic. We are fighting each other on social media, in studios, face to face, and behind each other’s backs. There are yogis arguing about who practices the real yoga, who teaches the correct style or tradition, and who is a real or phony yogi. We make snarky comments about using Sanskrit or not. We frown upon those who practice flow and inversions, or look down at those who only practice more gentle and restorative styles. There are traditional yogis who are appalled at the newer, more modern approaches to yoga. There are modern yogis who baulk at the thought of traditional, ancient yoga. And then there are those who infuse yoga with modern fitness and those who would never even think of a thing. And instead of uniting and embracing our differences – something we commonly teach – we instead laugh, mock, criticize, and be a yoga bully to each other, thinking our way is correct, our teaching is better, and even that some students are more worthy of our teaching than others. So before you take a beautiful thing and use it as a basis to make comparisons with others and how they practice it, check your Self. Look at your actions as a teacher, a student, and a being. Are your actions, words, and thoughts causing strife in the world of yoga, or are they uniting a complex and ever-changing field? Because whether it’s Eastern or Western, Traditional or Modern, Restorative or Power, Sanskrit or English -- it's all yoga. It has the power and potential to separate you and create more conflict in the world. But it has even more power and potential to reach deep down, ignite you with love, and unite you - mind, body, and/or soul. by Jessi Andricks - Jessi blends together Health Coaching, Yoga, and mind-body fitness to create innovative online detox programs, such as her 10-Day Spring Cleanse and Detox Your Life. 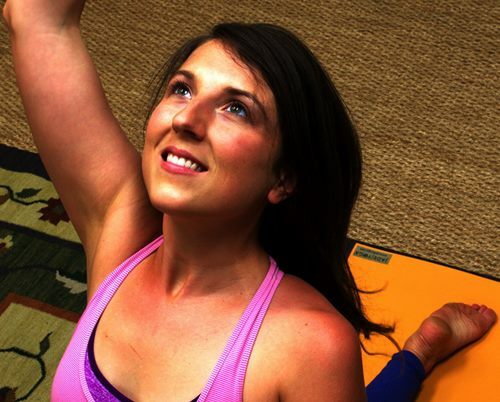 Jessi also teaches Detox Workshops that combine yoga, detox basics, and coaching practices. Look for her upcoming book, Detox 101, coming out this fall. Find out more about Jessi on her website.